Stones of many different kinds, shaped and built into intriguing structures, is what makes Stonehenge special; a unique monument in the world of early farming communities in northwest Europe. Join Prof. Timothy Darvill as he explores some of the main components that made up Stonehenge in the late third millennium BC, asking: What were they for? How might they have worked? Why were the stones chosen? And what made the place rock? THIS IS THE THIRD IN THE SERIES OF LECTURES TO MARK THE ANNIVERSARY OF CECIL AND MARY CHUBB’S GIFT OF STONEHENGE TO THE NATION. Tickets are free but places must be reserved by calling the English Heritage Bookings Team on 0370 333 1183 (Mon – Fri 8.30am – 5.30pm, Sat 9am – 5pm). The telephone bookings will close at 3pm the day before the event. Events are planned throughout 2018 to mark Stonehenge’s special anniversary. 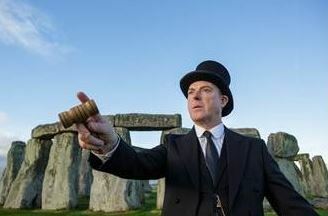 A series of English Heritage exhibitions and archaeology projects will be run from March to celebrate the centenary year of Stonehenge being donated to the nation. 2018 is an important anniversary for Stonehenge. A hundred years ago, in 1918, local barrister Cecil Chubb and his wife Mary gifted it to the nation. This public spirited decision marked a turning point in the history of Stonehenge and its fortunes. A programme of restoration began almost immediately, starting a centenary of care and conservation at Stonehenge which continues to this day. Once a supposed gift for a wife we, as the public, have now had access to one of the most famous prehistoric monuments for around 100 years. Stonehenge was donated by Cecil Chubb and his wife Maryin 1918 so that they could be properly looked after and enjoyed by all. Cecil bought the stones in an auction in 1915 and it’s been said that the only reason he was there at the auction was to buy a set of dining chairs! Late in 1918, Cecil and Mary, gave the stones away to be cared for The Office of Works (what would be English Heritage). Throughout 2018, English Heritags will be celebrating the centenary of the gift, and discovering what this iconic monument means to people today. They were in a ‘perlilous condition’ according to the charity, so they set to work to restore it to it’s former glory. For the past 100 years, millions of people have visited the monument from locals to people travelling thousands of miles to see it. The first monument was an early henge monument, built about 5,000 years ago, and the unique stone circle was erected in the late Neolithic period about 2500 BC. In the early Bronze Age many burial mounds were built nearby. 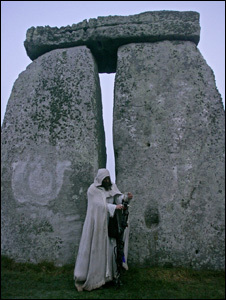 From 1927, the National Trust began to acquire the land around Stonehenge to preserve it and restore it to grassland. A new visitors centre was built in 2013 and the byway next to the stones was closed. Throughout 2018 there will be special programmes to celebrate the centenary, such as a special collaboration with the British Museum featuring an exhibition on the Neolithic and Bronze age items found.